Our flight was via United Airlines nonstop from LAX to Narita Airport, leaving at 11:50 AM and arriving 3:00 PM. I heard that a method of getting over jetlag faster was to adjust your meals ahead of time so that they’re in-line with the place that you’re going. So I started by eating breakfast during lunch time and so on. I mistakenly started a day early, so I ended up having my meals at odd times for two days before the trip. I thought that it gave the experiment a better chance of succeeding. I’ll cut to the chase and say it didn’t work at all. When I was in Japan I was still waking up around 3 AM or earlier. Though in my normal routine I wake up around 5:30 AM so it wasn’t TOO different. My ritual for flying is to listen to the Superman Theme during takeoff. Supposedly, the theme song is composed to sync up if you start it at the right moment. I’m always a bit off, but if you start playing it as soon as the airplane engines really kick in then you’ll lift off just as the theme gets going. I went on my third trip to Japan for about a week in the Summer of 2016. My first time in Japan was when I was thirteen. My older sister was living there, so I went on a two week trip with my mom. In 2010 I went with my friend Anna who is native to Japan. She planned out what ended up being an amazing, and jam packed two week trip. You can read all about that trip in my blog posts here. I know each blog post has been a retrospective, but I thought I’d put some final thoughts and thank you’s into one post. If anything, it reminds me that we really did everything we blogged about. It seems like a dream at this point, but we really did it thanks in no small part to friends and family on the trip. 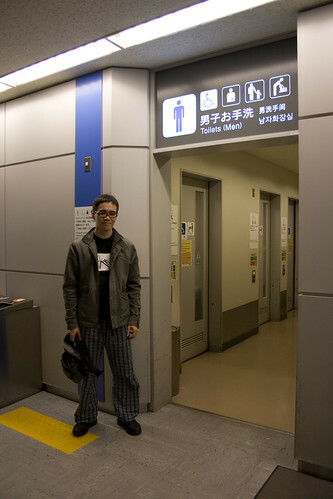 Little did I know the awesome that Japan had in store for me. Well, this day wasn’t really a full day, it was just our trip to the airport and back to New York. Japan was so much fun, even beyond what I thought it’d be before we went. I love the food, the convenience, the service, the cleanliness and just so many fun things to do. That said, I was looking forward to sleeping in my own bed, and not having to worry about what was on the agenda for the day. 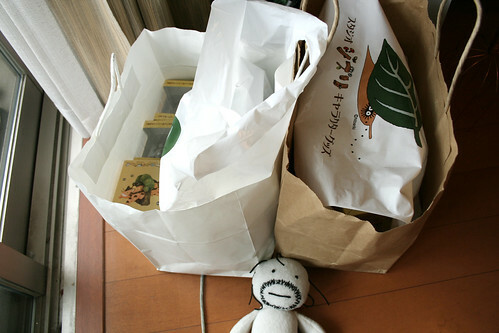 Pretty much everything we bought was either edible or Ghibli. 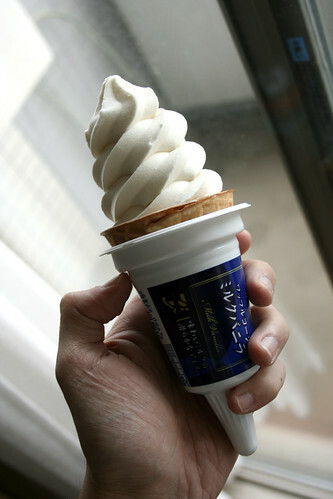 I finally ate this ice cream I bought when we first got to Japan. It was surprisingly soft and creamy despite how rigid it looked. Today was our last full day in Japan! It was hard to believe and kind of sad. Considering how much we did it’s amazing that it didn’t feel stressed while doing everything. Very rarely were we rushed or had a sense of urgency to the point of being detrimental to our fun. I guess I just wanted to spend more time in Japan because there’s just so much to see! Anna packed our bags because a courier service was picking up our luggage and delivering it to the airport. Thankfully Anna’s brother was going to be hanging around at home all day which meant we were free to meet some of her former co-workers for lunch. Finally, mayonnaise and sauce bottles small enough for Dude to use! We woke up around 6, did a little tweeting and headed to the station to drop our luggage in a coin locker. The previous day we saw that in the middle of the day every single coin locker is taken up, so we were a little worried about how soon they fill up. Turns out that early in the morning they’re all empty so we had our choice of what locker we wanted. Someone in Japan did their homework. 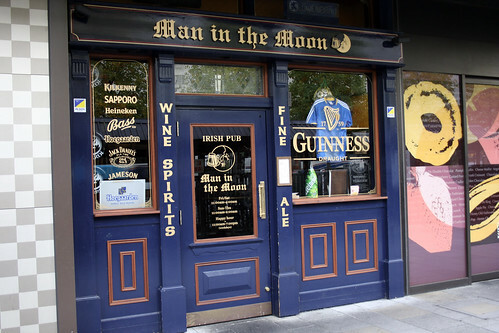 This was the most American looking bar I saw while in Japan. Today was the day that we were headed to Kyoto! We woke up and had a nice breakfast made by Anna’s mom. 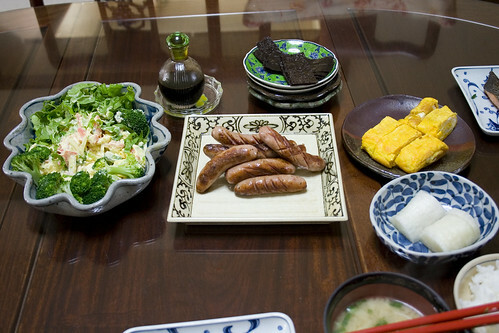 Some tamagoyaki, sausage, potato salad and salmon (the last are two of my favorites). Mmmmm, I love Japanese breakfast.